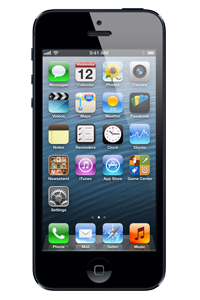 The arrival of the iPhone 5 on September 12, 2012, put a huge smile on the faces of Apple fans all over the world. Expectations were extremely high during the months leading up to the official launch but the Cupertino tech giant was once again able to exceed them. Preceding the iPhone 5S and iPhone 5C and succeeding the iPhone 4S, the iPhone 5 was the sixth generation of iPhone manufactured by Apple. At doctorSIM, you can unlock your iPhone 5 in less than two minutes. Just send us the information indicated and within a guaranteed timeframe we will send you simple step-by-step instructions to your email explaining how to complete the unlocking process. It couldn't be easier! A larger 4-inch screen with a resolution of 1136 x 640 pixels, a lighter, thinner aluminum shell (only 112 grams), the A6 chip, EarPods, and a new phone jack replacing the 30-pin dock connector are just a few of the significant design changes compared to the iPhone 4S. The battery was also upgraded allowing for up to 8 hours of talk time on 3G, 8 hours on 4G LTE, and 10 hours over WiFi. Although promoted as "the biggest thing to happen to the iPhone since the original iPhone" and being more affordable, the price for an iPhone 5 was predictably high. Nonetheless, that didn't stop five million units being sold in the first three days of release. 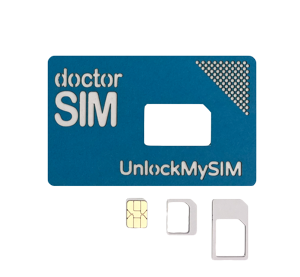 You have almost certainly upgraded or switched to another make by now, but if you still have an iPhone 5 locked to one network lying around the house or office, why not put it to good use by unlocking it with doctorSIM. The benefits of an unlocked phone are well documented with the possibility of getting up to 30% more for it on the second-hand market being the stand out reason. Once unlocked, it will also work perfectly well on any network in the world. Unlocking iPhone 5 with doctorSIM is rated 4.8 out of 5 based on 11 reviews .